(Stuff) Woo guess whose back! I am back! Well sort of! I won't be doing any creations for the Sims 2 (at least not any time soon). However, I will be making things for the Sims 4! I am going to start out small and progress my way back to where I was (or even farther) with time. I plan to do mostly recolors in the future but for right now I will be creating Sims and Pets. As a side note if anyone would like my previous Sims 2 downloads they are still up on box.net I think they may also be in the graveyard. If there is anything in particular you want that you can't find feel free to ask and I will see if I can find it. A few dresses using Corinnes Mesh w/ extra credit to Nilou. Mesh is included. I am pretty pleased with these as they took me ages. If I can get my game to cooperate with me as I figure out how to change dresses I will add more pics at a later date. I don't feel like dragging my Sims to a community lot. I am the lazy. :( Sorry the poses are poopy too :P No pose boxes in my game atm. Anyways... here ya goes! 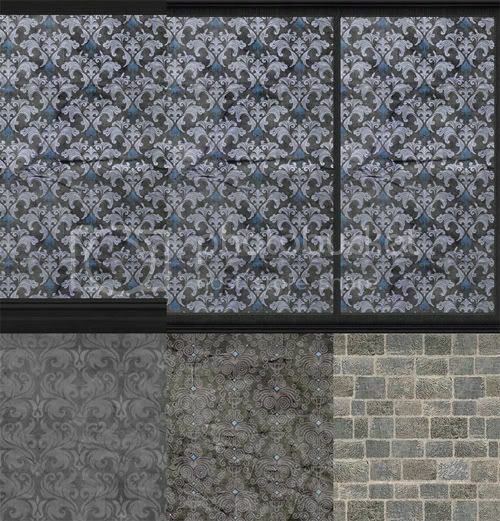 Another set of walls to tide you over some furniture recolors and houses will be coming in the near future :) Hope you enjoy these! (Randomness) Paypal Donate Button whyness? More goodies will be coming soon I am just getting over a nasty head cold / touch of sore throat. Hope everyone had a fantastic weekend! 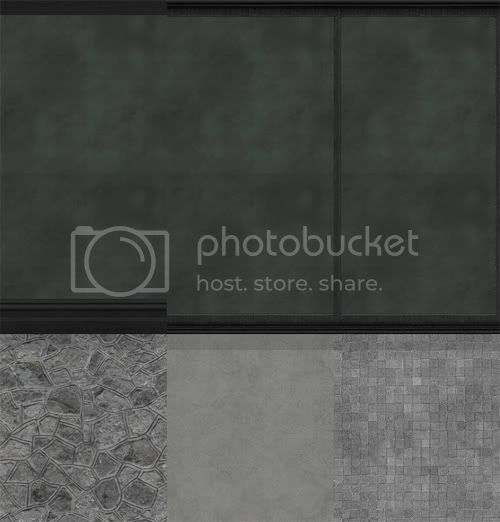 Here is the third set of Dark & Mysterious Walls for your enjoyment! Credits: Holy Simoly and Donnha for the Wood Molding. Feel free to link back to me with this little banner. Copyright © ....Stuffs & Thingies!